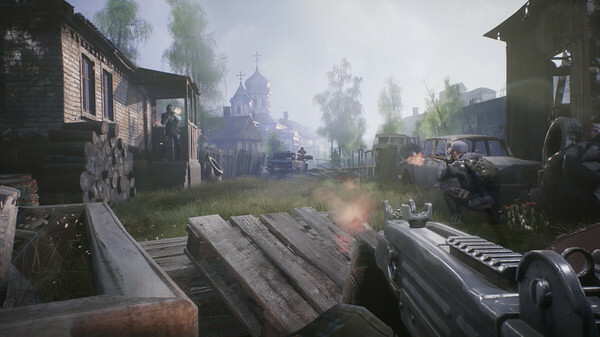 Fear the Wolves, published by Focus Home Interactive and developed by Vostok Games, is another game to jump onto the battle royale format while trying to throw their own touch at it. Is that touch enough? 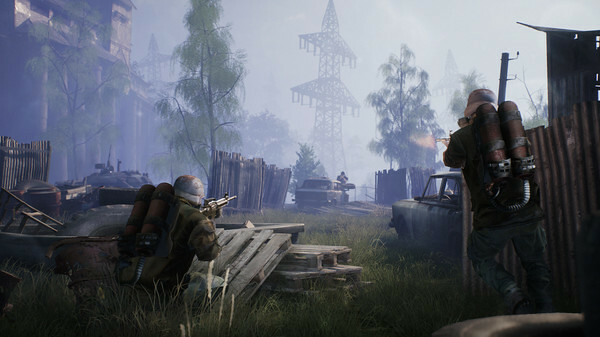 Fear the Wolves throws you into a radiated Chernobyl style zone where you and the other players fight to survive the harsh environment, mutated wolves, and radiation bubble anomalies, in a competition to be the first person to escape on a chopper. Like most battle royale games, you and the other players drop into a map via parachute, if you’re lucky enough and have the will power to wait for a game. The queue times are quite long due to a small but growing player base. For now, this takes away from the replay value. As the match starts, the player glides into what I would describe as a jerky and boring animation to the ground. You run around to gather weapons, ammo, and meds, and then rush into battle. The graphics are well done. Work has obviously gone into the game to make you feel as if you have been transported to Chernobyl, but the map does not feel or make for a good shooting experience. This could be in part because of the sound, which just lacks any oomph. The weapon sounds are dull and the environmental sound effects are not immersive. The controls are standard and easy to use, just like most battle royale games, so you will be opening doors, grabbing weapons, and shooting in no time. Combat game play is in need of improvement. At times I would shoot some people and drop them in seconds, while other players would absorb all my rounds, only to turn and kill me with one shot. Now, I want to step away from the dislikes to things that make Fear the Wolves different and a little more interesting in its own way. First off, the game play is first person only, so no peaking around corners and then jumping out with a bla-blam! Like most battle royale games, the zone creeps in to get you and you are pushed towards a centre, slogging it out on the way. 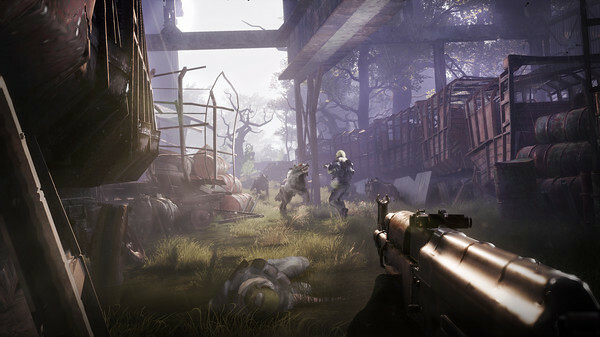 Fear the Wolves does not utilize a traditional map where players would normally be forced toward the centre as the map shrinks. 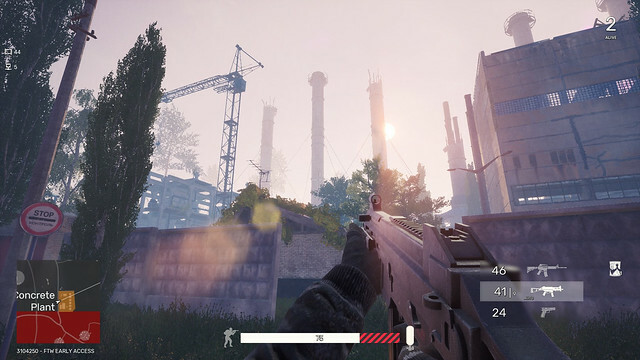 Instead, red block sections that players must avoid are introduced over time, which still decreases the size of the map and freedom of mobility. Dotted around the map are anomalies, which if you get caught in hit you hard and chuck away your life. These radiation anomalies are big bubbles and can be easily avoided, however I do feel there may be too many of them. Changes in weather has an impact on vision, car handling and shooting, which was a nice touch. I also like the way that only one person can leave, or win. The only way to escape is by reaching the chopper (insert your own Arnie voice here) and climbing the rope. Sounds simple enough. However, this leaves the player vulnerable and makes you question whether to go for it or wait for the others to try first. Remember, Fear the Wolves is in early access, and yes, its buggy and needs work, but I’m sure Vostok Games is working on improving what they have. This game possesses its own fair share of traits that, if the developer pulls the other stuff together, make this game a good purchase. I just hope that people wait, and keep at it, as the difference between this and other battle royale games are fun and could make it a good change from PUBG.